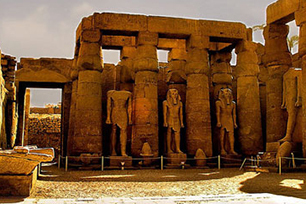 Imagine a very large and natural outdoor museum, and Luxor will more than measure up to the vision. 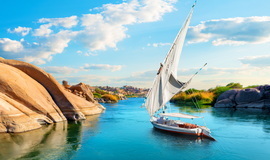 Built on the 4,000-year old site of ancient Thebes, once ruled by great pharaohs such as Ramses II, this fascinating city stands on the east bank of the Nile and quite literally, resonates with history. As well as incredible backdrops against its busy centre, the flat plains around it offer endless treasures. 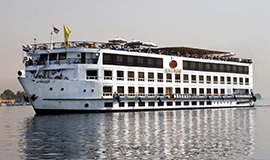 Yet for all these ancient relics, Luxor remains a lively modern city, pulsing with colorful life, bazaars and 4 and 5 star hotels which provide visitors with placid retreats from their action-packed itineraries. 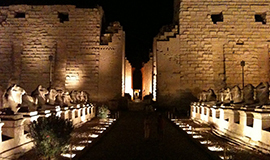 Your first must-see here is the incredible Temple of Luxor in the heart of the modern town. Gaze wide-eyed at the incredible Obelisks built by Ramses II and wonder at an unimaginably long-gone world, and then finish up with a tour of the Mummified Museum . 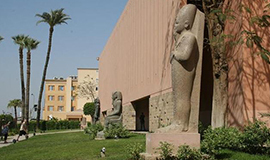 Luxor's two other highpoints lie outside the city. 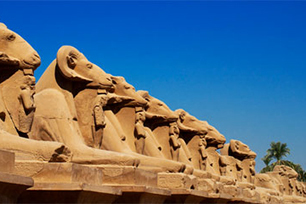 Head north to gaze at the Temple of Karnak , a jaw-dropping series of vast shrines and pillars. 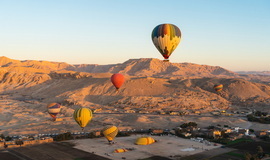 Across the Nile the legendary Valley of the Kings , with its 62 hill-carved tombs, including those of Tutankhamun and Ramses II, awaits your presence. Descend into the eerie hieroglyphic-inscribed burial chambers and you'll feel totally humbled. 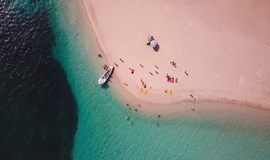 When you can lift your jaw off the floor - don't forget the haunting Valleys of the Nobles and Queens also on the West Bank - head back to your hotel or cruise ship to cool off in the pool or at the bar, the latter providing the nightlife of choice for most visitors here. You'll need time to recharge your batteries for the next day’s time traveling, after all. 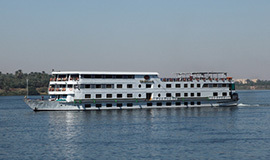 Tourism is the mainstay of the economy of Luxor. 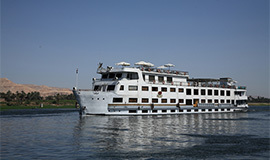 Estimates vary, but some claim that as much as 85% of Luxor’s livelihood depends on visitors and their hard cash. So you should be prepared to enjoy (if that’s the right word!) being invited to step inside every shop, rent every caleche, or have offers to shine your shoes made at virtually every street corner. 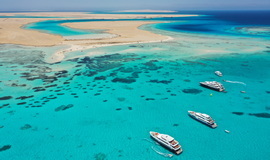 For some people, that’s the essence of Egypt holidays: the cheerfully persistent sales pitches, the theatre of bargaining, hunting for real gems and a genuine taste of the Souk. 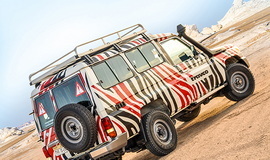 Others can feel hassled at every turn and find the relentlessly aggressive selling unpleasant. It depends on your approach and attitude. 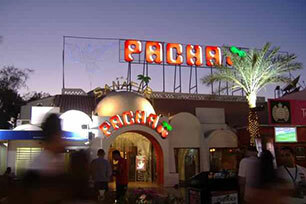 Keep your cool and sense of humour and you’ll discover genuine warmth in Luxor and throughout Egypt. 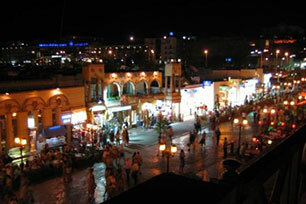 There are only three main streets in Luxor: Sharia al-Mahatta, Sharia al-Karnak and the Corniche next to the Nile. Sharia al-Mahatta runs from the Nile to the gardens of Luxor Temple. 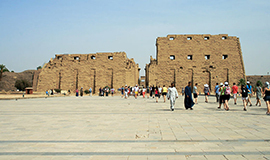 Sharia al-Karnak runs along the Nile from the Luxor Temple to the Temple of Karnak. It’s also known as Sharia al-Markaz where it meets Sharia al-Mahatta and to the south around the temple it becomes Sharia al-Lokanda. 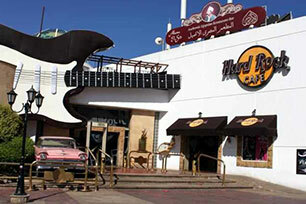 It’s here you’ll find colourful restaurants and cafes as well as bazaars with a good selection of Egyptian souvenirs. 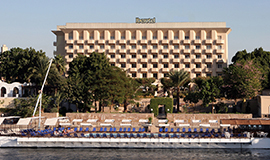 If you tire of all these ancient wonders indulge in the facilities provided by Luxor hotels that include swimming pools and health clubs. Further afield, there’s the Royal Valley Golf Club. This 18-hole, Par 72 championship standard course is open to tourist groups and is situated on the East Bank of Luxor about 13 Km from the city centre. 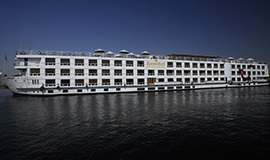 The Iberotel Crown Empress is the largest vessel in Travcotel’s fleet. 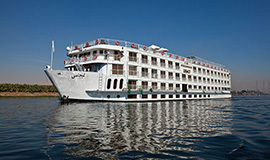 It measures approximately 110 meters in length and is designed to give all guests a real taste of sailing aboard a premium Nile cruise liner. 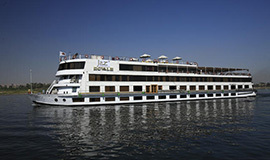 Cruise in comfort and style onboard the Deluxe Five-star Jaz Jubilee. 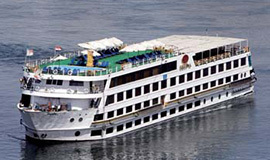 This ship creates the perfect environment to which you can return after optional shore excursions exploring Egypt’s marvels. Cruise in comfort and unique style onboard the Five-star Deluxe Yacht, the Jaz Senator. 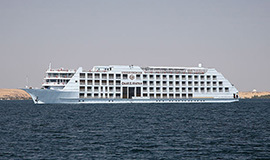 This is the only vessel within the Travcotels’ fleet to feature Suite-Only accommodation. The Imperial is one of several superior Five-star ships in the Travcotels fleet but is the only vessel to feature Suite accommodation measuring a very generous 41 m² and spacious cabins of 20.5 m² . 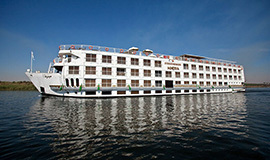 Cruise in comfort and style onboard the Deluxe Five-star Jaz Regency. 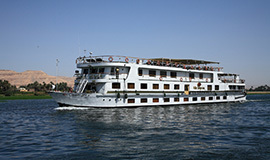 Relax, discover the beauty of the Nile, be entertained and enjoy the marvels of ancient Egypt. 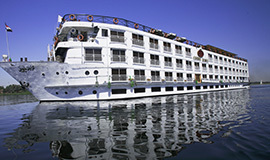 Cruise in comfort and style onboard the Deluxe Five-star Jaz Royale. 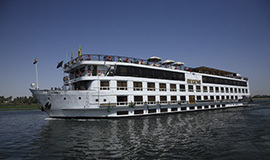 This ship and her accommodation exudes comfort and style creating a truly regal experience for all on board. 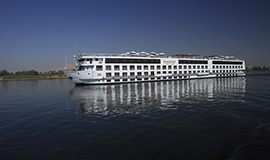 The Helio is an elegant and stylish Five-star cruise vessel that has echoes of Agatha Christie and Art Noveau 1930’s style. 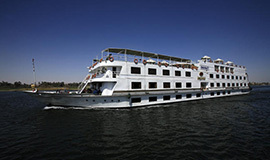 The Nile Empress is an intimate and luxurious Five-star Nile cruise ship that takes you on your journey along the Nile and through the marvels and beauty of Egypt in supreme style and elegance. 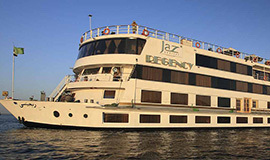 With a uniquely elegant style, the Deluxe Five-star Jaz Legacy offers supreme comfort and cruising pleasure. 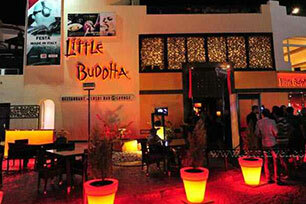 It provides a variety of services, including round-the-clock reception. 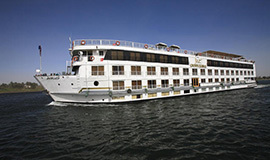 Experience a more gracious, graceful and luxurious Nile cruise with the sedate majesty of a Dahabiya. 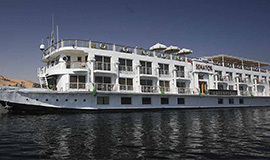 Jaz Yakouta will take you back in time to the gentler era when the elite and sophisticated travelers cruised on the Nile in style. 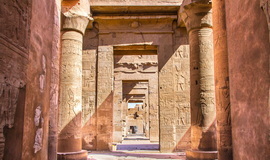 The Karnak Temple is located on the east side of the Nile, just north of the Temple of Luxor. 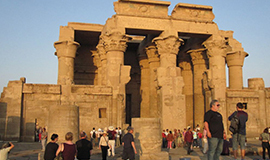 The temple of Karnak was known as Ipet-isut (most select of places) by the ancient Egyptians. 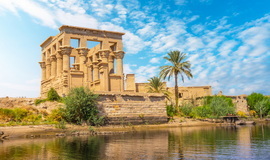 It is a city of temples built over 2000 years and dedicated to the Theben triad of Amun, Mut and Khonsu. the largest ever made, and a place of pilgrimage for nearly 4,000 years. Today's pilgrims however are mainly tourists. It covers about 200 acres - 1.5km by 0.8km. 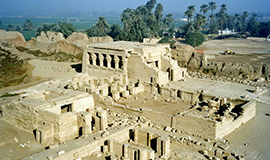 The area of the sacred enclosure of Amun alone is 61 acres, and would hold ten average-sized European cathedrals. The Hypostyle hall, at 54,000 square feet, and with its 134 columns (the tallest of the 134 columns reaches a height of 23 meters) is still the largest room of any religious building in the world. In this enormous forest of columns you get a genuine feeling of the wealth of the New Kingdom and of the importance of Amun as the State-God.Karnak is the home of the god Amun who was an insignificant local god until the 12th dynasty when Thebes became the capital of Egypt. He was represented in his original state as a goose and later as a ram, at the height of his power he was shown as a human with a head dress of feathers - all that remained of the goose. 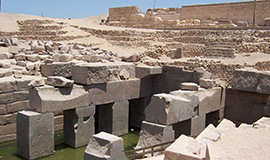 All ancient Egyptian temples had a sacred lake; the Karnak's is the largest. 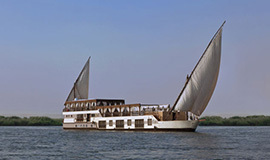 It was used during festivals when images of the gods would sail across it on golden barges. 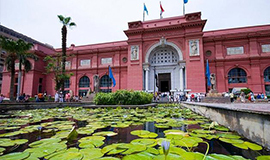 The water supply to the lake, which symbolized the primeval ocean Nun, comes directly from the Nile. 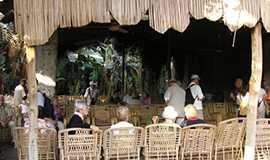 Next to the lake is a small café where you can pit stop in the shade and fantasize about the temple in its golden ages. This small and fairly new attraction illustrates the fine art of embalming and mummification with wall pictures and archaeological artifacts. 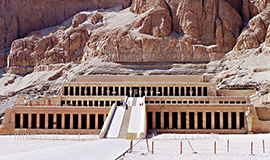 The Luxor Temple has many fascinating aspects and features that continue to attract multitudes of people: Some 260 m (850 ft) long today, the temple was built by Amenophis III on the foundations of a previous religious structure, dating from the time of Queen Hatshepsut. The Colonnades One of the glories of the ancient Egyptian temple is a majestic colonnade dating to the reign of Amenophis III, with 14 columns with papyrus-shaped capitals standing at 18m (60 ft) tall, and almost 10m (33 ft) in circumference. 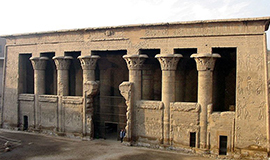 The colonnade is enclosed on both sides by a masonry curtain wall, with reliefs depicting various phases of the Festival of Opet, completed and decorated during the reigns of Tutankhamen and Horemheb. 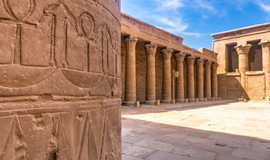 A magnificent courtyard follows; it is lined with a double row of columns, and bordered to the south by the hypostyle hall, which itself contains 32 gigantic columns. From here, the visitor passes on to the inner section of the attraction where there is a series of four antechambers and ancillary rooms, as well as the Sanctuary of the Sacred Barque, situated in the innermost room. The chapel was rebuilt by Alexander the Great. 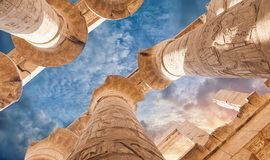 The ceremonies that took place in the temple of Luxor were of great importance, and their religious symbolism complex. 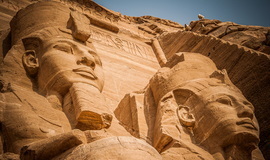 During the Festival of Opet, the feast of the royal jubilee, the divine rebirth of the pharaoh, son of Amun, was celebrated, reaffirming in this way his power. The ancient Egyptian temple of Luxor also served as a shrine for the worship of the divine and immortal portion of the pharaoh, the royal "ka", symbol of the legitimacy of the pharaoh's power, which was universal and not restricted to any individual pharaoh. In terms of purity of structural design and the elegance of its columns, the temple is one of the most remarkable architectural achievements of the New Kingdom. The Courtyard of Ramses II The courtyard of Ramses II, is surrounded by a peristyle of 74 papyrus columns arranged in a double row and adorned with 16 statues of the pharaoh, and incorporates a three-part chapel on the northern side, also dedicated to the Theban triad and dating to Hatshepsut's reign. 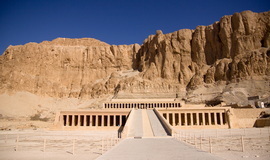 The desert valley on the west bank of Thebes is best known as Valley of the Kings, Egypt. 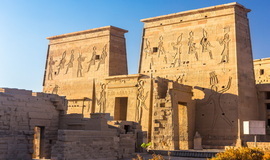 The location was the political and religious capital of the New Kingdom, and was first used as a royal necropolis by Thutmosis I, although it was his predecessor, Amenhotep I, who was considered the patron-god of the valley by the actual builders of the tombs. The last known king to have built a tomb in the Valley was Ramsis XI, the last king of the New Kingdom, although it is doubtful that he ever used that tomb. Despite its modern name, the majority of its tombs were not built for members of the royal family and entourage. 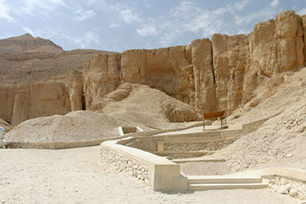 The Valley of the Kings Egypt has two main branches: the East Valley, where most of the royal tombs are situated, and the West Valley, which contains only the tombs of Amenhotep III and Ay, and some pits. The tombs of most of the New Kingdom kings have been discovered over the years; some were already open to public during the Greek-Roman era, others have only recently been unearthed. All of the tombs have fallen victim to one or several visits by tomb robbers, even the famous tomb of Tutankhamen that was discovered almost intact in 1922 by Howard Carter. 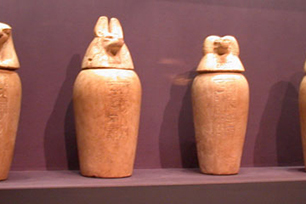 In an effort to save the royal mummies of these attractions from destruction, and to salvage the remaining treasures of the royal tombs, the priests of the end of the 20th and the 21st Dynasty opened the tombs, collected the mummies and buried them in two or more "caches". 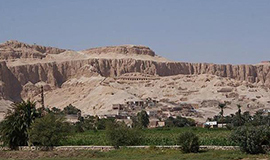 The first "cache" was a rock tomb high up in the mountains of Deir el-Bahri that was probably intended as the family tomb of the 21st Dynasty king-priests. 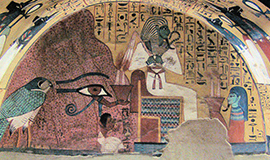 The second "cache" was the tomb of 18th Dynasty king Amenhotep II. Not every royal mummy of the New Kingdom has been found, so there is room for the hypothesis that there may have been a third "cache" which has not yet been identified as such or which has not yet been discovered. 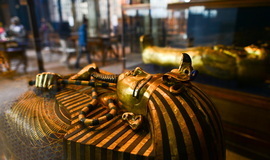 The only royal mummies to have been found in their own tombs were those of Amenhotep II, who was re-buried in his own tomb by the 21st Dynasty priests, and Tutankhamen, whose tomb lay undisturbed from the middle of the 20th Dynasty on. The Obelisks Also dating to the reign of Rames II are two large obelisks that once stood before the first pylon (a word derived from the Greek meaning 'gateway') and which were given to France by the ruler of Egypt, Mohammad Ali, in 1819. The western obelisk, more than 21 m (70 ft) tall and weighing 210 tons, was removed by the French in 1836 and erected in Paris in the Place de la Concorde. 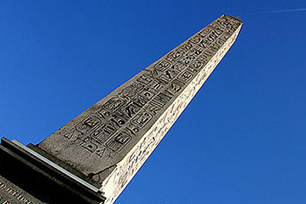 All claims to ownership over the second obelisk, which remained in its position in Egypt, were renounced by France in 1980.